NEWMARKET, Ont. - A Canadian lumber firm must pay $75,000 for failing to protect one of its workers in 2015. The worker was unloading large beams of lumber at a home residence when he was critically injured. After unstrapping two 28-foot long beams from the bed of his truck, the employee attempted to push them off the side but lost balance and fell seven feet to the driveway below. He sustained critical injuries. 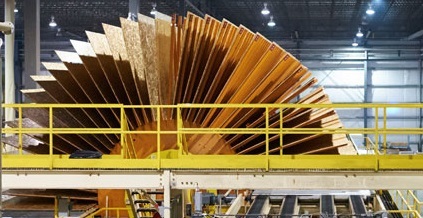 Canada's Ministry of Labour cited Argo Lumber for inadequately training employees on how to deliver lumber beams longer than 22 feet. The company pleaded guilty in a Newmarket court specifically for failing as an employer to provide information, instruction and supervision to a worker to protect the health or safety of a worker contrary to section 25(2)(a) of the Occupational Health and Safety Act. The company was convicted on March 11.